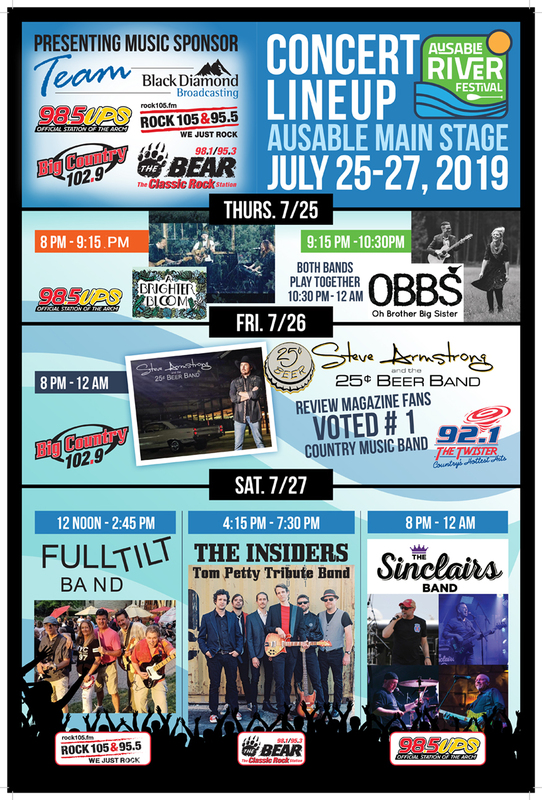 Black Diamond Broadcasting is proud to be the new presenting music sponsor for 2019 AuSable River Festival, held in Grayling during last week of July. Bring your family for a week of events celebrating the AuSable River International Canoe Marathon. Saturday - - July 27th fills the music stage with three exciting bands, all day long! There will be Music for every taste with many performing artists over three days, at the AuSable River Festival and Canoe Marathon. Downtown beautiful Grayling - on Main Street.